On the Philippine island of Alabat found an abnormal number of twins. In total, Alabat has 78 pairs of heterozygous and 22 pairs of monozygotic twins. The youngest twins on the island are the four-month-old Jan and John, and the oldest are Yudosia and Antononia Meras (Eudosia and Antononia Meras), who are over 80 years old. In 2015, 12 pairs of twins were born on the island. 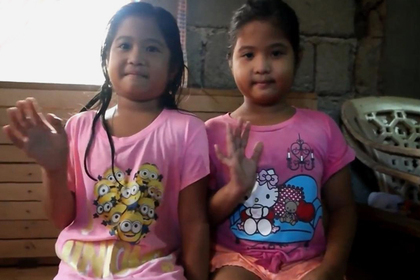 Alabat is also home to a pair of Siamese twins – ten-year-old Joey and Joyce Magsino (Joy and Joyce Magsino). Their grandmother also had a twin. The girls got heads together at birth, and the surgeons refuse to share them, since it is very likely that they will not survive the operation. Philippine doctors and scientists believe that the anomaly is due not to genetic causes, but to certain characteristics of the environment. Now they are carefully studying the drinking water of the island. At the moment, only one place is known where there are more twins than in Alabat. This is the village of Kodinha in the south-west of India, home to about 350 twins. Scientists also can not explain such an anomaly.